Here are my latest projects. I love making paper flowers. They make simple projects look elegant. 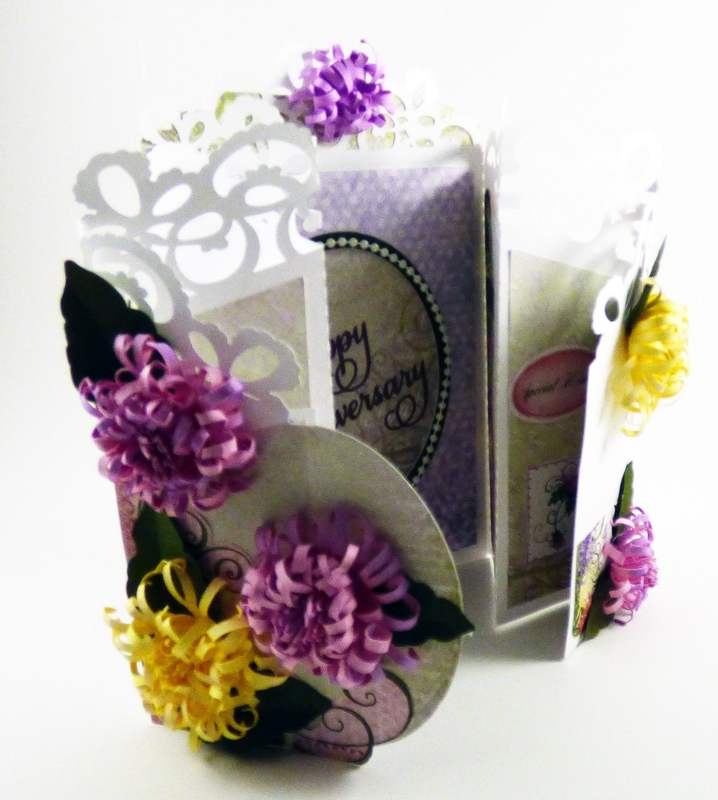 I just love purple and these cards are gorgeous. The petals look like wild geranium flowers that have caught the due. Love the glitter on the edges of the petals, @juliefes - gonna steal that idea! Very nicely done! Both of them are spectacular. I do so love your flowers. Thanks for all of your kind words. I love real flowers. Making them in paper makes them last so much longer! They are great for adding to gifts.